How does one find the ideal property in five days after arriving in country? Visit Lister & Cole! My wife and I recently relocated to Australia from the USA and wanted to move to the Blue Mountains. We’d spent months researching online but it wasn’t until we walked into Lister & Cole that we found the property we were looking for. The presentation of their office and especially the detailed individual property brochures showed us we were working with professionals. Not only did they assist with the process of buying our first home in Australia, they helped us get settled into our new home with info on the community and referrals to local tradesmen, etc. 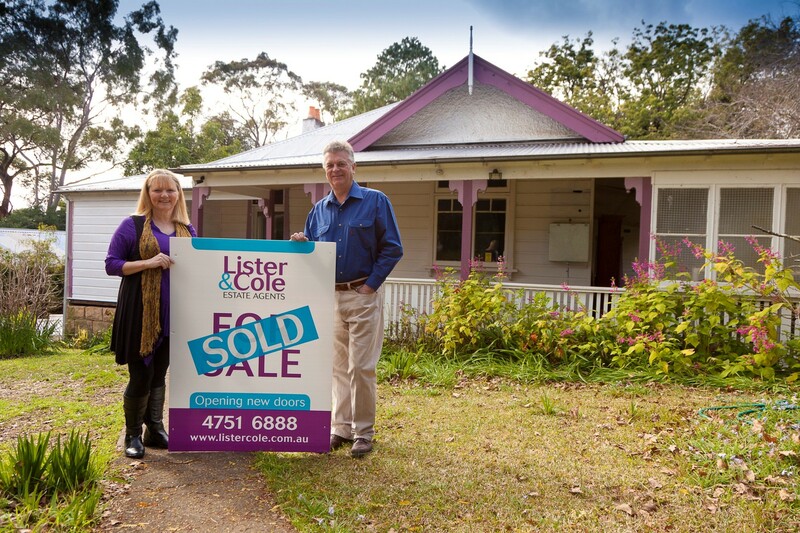 We don’t intend to ever leave the Blue Mountains, but if we do we’ll be listing with Lister & Cole! We were very pleased to have Stewart assisting us to sell our home. His thorough understanding of real estate in the lower mountains helped us feel confident in his advice and suggestions for marketing our home. He kept us informed of any important details along the way and we would happily recommend him to anyone looking to sell. The Scottish accent comes as a lovely bonus! Thanks Stewart and Blaxland Lister and Cole, great work. From my first meeting with Stewart he acted with professionalism, had great communications skills and at no time did I feel I was being pushed towards a decision or price. During the whole process Stewart and his team kept me informed in relation to feedback on inspections and were always easy to contact if I had any questions. I have nothing but praise for Stewart and would have no hesitation in recommending him and his team. Thanks Stewart and Blaxland Lister and Cole, great work. On meeting Scott Lister the two words that immediately came to mind were genuine and trustworthy and we also appreciated his excellent communication skills. These factors, coupled with his impressive and innovative marketing strategy had us sold on choosing Scott to sell our home. We are so very happy that we did because everything promised was delivered to exceptional standards. Stewart made selling our house a great experience. From the beginning, he was so helpful in explaining the sale process to us as first time sellers and was easily accessible and always in communication which was a source of comfort for us. He and the team created a great sales package for the house which communicated all the things we loved about the house to potential sellers. Once the house was online Stewart and the team did a great job bringing people through the house and negotiating a price beyond what we had expected. We would highly recommend anyone to contact Stewart and the team at Lister and Cole. Having canvased 5 agents for their market knowledge and valuation of our property, we selected Stewart specifically on the grounds that we found him to be genuine, credible, approachable, knowledgeable and responsive to our needs and concerns. He had already been recommended to us by a family member from their positive experience. He had a comfortable balanced style of communicating that put us at ease and gave us confidence. He provided us with good advice re the presentation of our property and provided a very professional marketing package that we thought did justice to our property without over-stating its features. His expectations in relation to the likely market response was appropriate and his estimate of the market value was accurate. Overall, we would warmly recommend Stewart Lamont as a trustworthy and thoroughly professional real estate agent. Scott has been exceptional throughout the process of selling our house and buying another. Scott is a great communicator, following through on questions, keeping you in the loop and up to date and if you can't catch him on the phone he call back ASAP. Scott is excellent and working through problems to make sure everyone is satisfied with the outcome. I would highly recommend Scott Lister to anyone with their Real Estate needs.